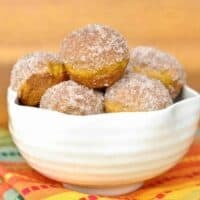 Bite sized Pumpkin Donut Muffins! Roll in butter and cinnamon/sugar! These donut muffins freeze really well too! I wasn’t sure if these qualify as donuts or muffins. So let’s call them both. They remind me of my favorite cinnamon sugar muffins. Only, with a pumpkin twist! Life has been pretty crazy around here. It seems like homework in our house has multiplied by 100. And of course, you may remember me saying this before, I’m not capable to help. I think of myself as a fairly educated person, I have a college degree as a registered nurse. I learned all the math and sciences necessary. But for the life of me I can’t seem to remember how to best help with 4th grade math. Or 6th grade government. Or freshman language arts (they read books I never had to read!) or 11th grade algrebra. Now, spelling I can do. But did you know that our school doesn’t have spelling tests like when I was a kid? They get words to study and learn, but they have to learn the meaning of them! And use them in sentences! Haha, poor kids. I only had to memorize how to spell them. It’s no wonder I’m of no use to my children. No really. These pumpkin donuts are packed with the healthy orange stuff. Yes, they are rolled in butter. Yes, I then rolled them in cinnamon and sugar. But c’mon, they taste amazing!! 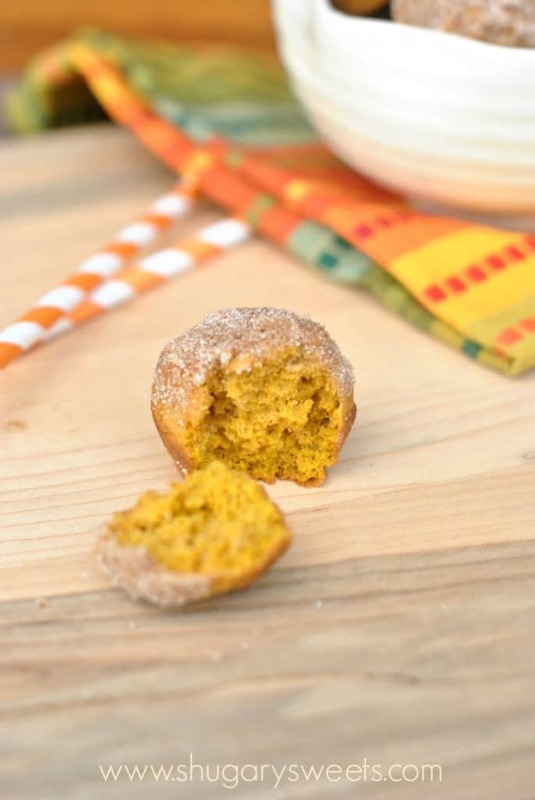 These pumpkin donut muffins freeze really well too! I like to bake them, roll them and stick them in a ziploc bag. Label, freeze and save for another day! ENJOY. In a mixer, blend butter and sugar until creamy. Add in egg and vanilla, beat until combined. Blend in pumpkin puree. Add flour, baking powder, baking soda, salt, allspice and cinnamon. Fill cavities of a greased mini muffin pan about half full (I use a metal 1Tbsp scoop). Bake in a 375 degree F oven for 10 minutes. Remove and cool on wire rack. Meanwhile, mix cinnamon and sugar and a small bowl. In a separate bowl, melt butter. Dip each muffin top into the melted butter then into the cinnamon sugar mix. Repeat until all muffins are dipped. Store in an airtight container for up to one week. Or freeze for up to one month. I use baking spray, such as Pam for Baking, to lightly coat my mini muffin pans. 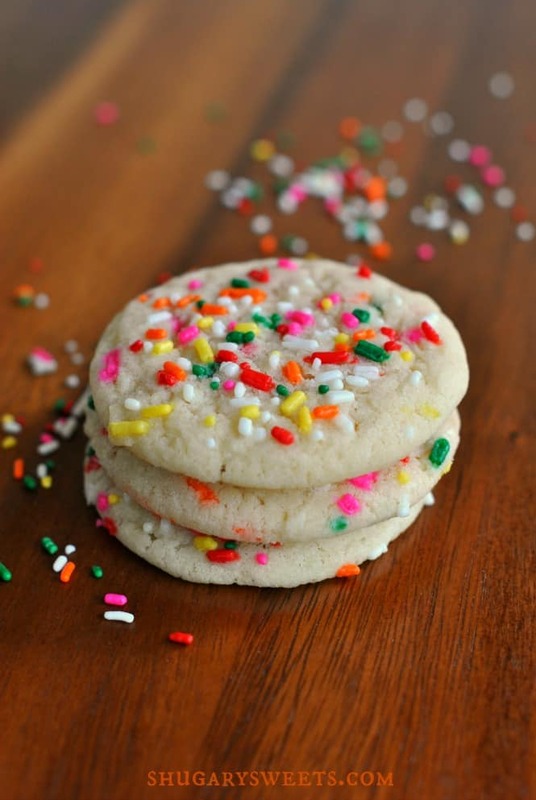 Funfetti Cookies: when math is hard, sprinkles make it a little better! 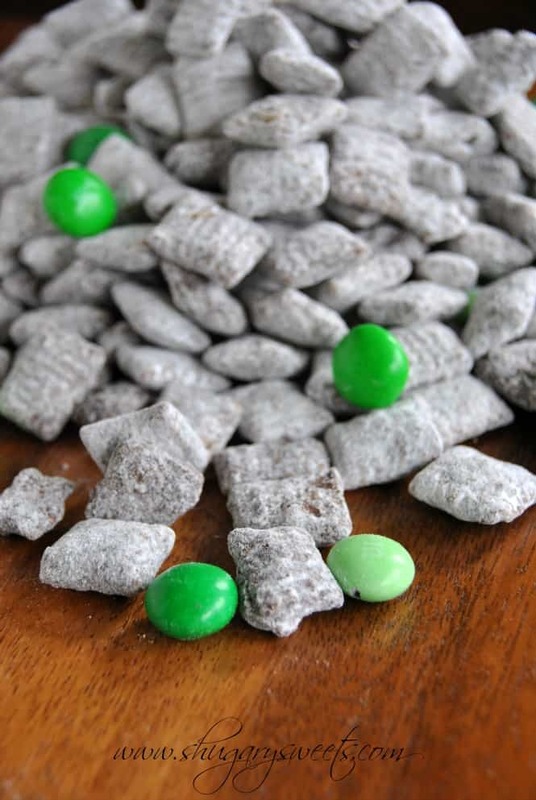 Thin Mint puppy chow: tastes like the popular girl scout cookies; great for lunches too! 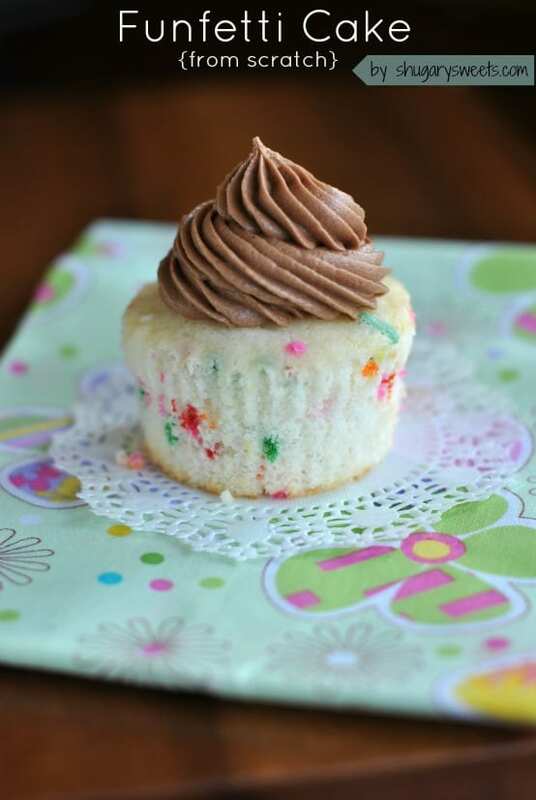 Funfetti Cupcakes with Chocolate Cream Cheese Frosting: from scratch. Seriously worth the extra 15 minutes! These look SO good! Love the cinnamon sugar on the tops!! I totally hear you on the homework, girl! I have a tutor come to help my son but it is for different reasons, it’s because I’m impatient and I might strangle him. Or he might strangle me! These muffins look divine! I could pop a good dozen of these in my face right now! I can’t do homework either. The other night I tried to help my daughter with math…let’s just say my answer was wrong. Uuggghh just pass me the bowl of muffins! I’m better at eating yummy pumpkin goodies!!! Well I could eat these everyday! Goodness Aimee, delicious! Thanks for the link love too! I never knew you were an RN!!! Omg I can seen you as being the best nurse EVER! Wow, did not know this! 4 yrs of reading your blog and I didnt know! I can’t wait for that project to be done!! Want to see want to see!!!! These look great 🙂 I don’t have anyone to help with homework, but I can’t imagine I would do much better. I love doughnut muffins and pumpkin makes them all the better! The kids homework drives me crazy! The math is all done in some confusing way and the kids tell me no Mom your not doing it right it has to be like this, when I try to do math the conventional way. I made the pumpkin donut muffins the other day. I called them pumpkin donut holes. The entire family gobbled them up. They were wonderful in the morning with some coffee. I have a problem with stopping myself from eating the entire batch! I’m feeling just about the same way with my girl’s homework and she’s only in second grade. I hate to think what it’ll be like as she gets older. You’re scaring me. 🙂 I love, love, love these muffins. Cinnamon sugar coating is fantastic, but pumpkin muffins make me swoon. A match made in heaven. Sorry, didn’t mean to scare you. Want a muffin??? I’d call them muffins so I could get away with eating a dozen of these for breakfast! I love how you think Eva!! 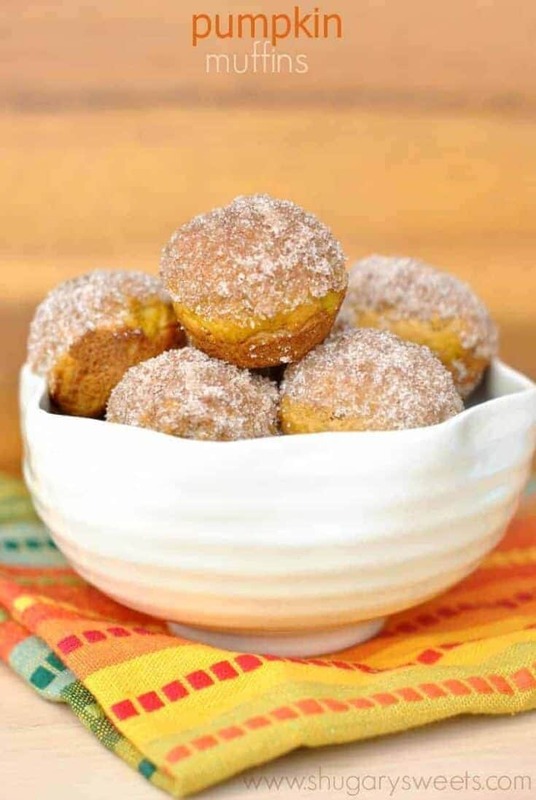 These little pumpkin doughnut muffins look awesome! I’ve always wanted to try making something like this. Oh well, it’s going to have to go on my “to-bake” list! And HEY! Just saw you’re on the list for the dairy tour…can’t wait to see you!! I would love a dozen of these for physics and geometry tests! I keep seeing pumpkin donut muffins and I am DYING to try some. I love how easy these are and how cute and fun sized, too! Oh they are so easy, you must try them!!! Pumpkin donut muffins have been on my to do list for too long. I don’t care if they’re rolled in butter, they look like they’re worth every single bite! These remind me of a muffin I used to make, but sans pumpkin. I bet these are so good especially for an after school snack! My brain always goes on shut down when the kids start asking questions! 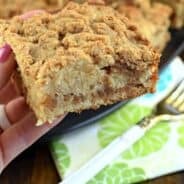 I received the email for this recipe and made them today and all I can say is WOW!!! These are so good and I dipped the whole muffin in butter and sugar mixture. I will be making these a lot. I happen to have little muffin pans and they came out perfect. I can help with your freshman’s English homework. I’ve taught that class before. I’m much more into making donut muffins right now, though. 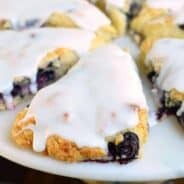 Made these last night – so good and so easy and fast! Thanks! I am horrified when my gets get to school and will need help. I think I will stick with the nutrition too. I can practice now with these donuts. Well Aimee, you know that they say that nutrition is the most important ingredient to success at school 🙂 These “donut muffins” surely qualify! I am dreading high school homework. I was an Electrical Engineer and took LOTS of math but I’m sure I will be absolutely worthless by the time the boys hit high school! I don’t even want to think about it! Made these last night. Wow. Easy and delicious. My sweetie seriously ate like five of them within an hour. Donut? Muffin? Who even care. SO. GOOD. They are SO cute and I bet they are to die for! Pumpkin donut muffin? The muffin in the title totally makes these healthier right? p.s. 5th grade math is already making me feel uneducated, I can’t imagine what it’ll be like once he’s in middle or high school! I thought you are also interested that this site (http://motivanova.com/?p=6204) stole and republished our pictures. They run ads and get paid for using our work. I just contacted the webhost GoDaddy to take my material down. It appears that this site only uses plagiarized material. I find this very sad, especially since we as honest bloggers put a lot of time into our work. 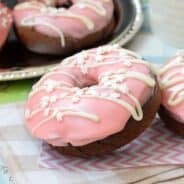 I have made these 3 or 4 times and always get requests for the recipe. Soooooo good. So glad to hear it Beth, thanks for letting me know!! I pretty much love pumpkin anything and this definitely would not be an exception! haha A great breakfast idea my whole family would enjoy!